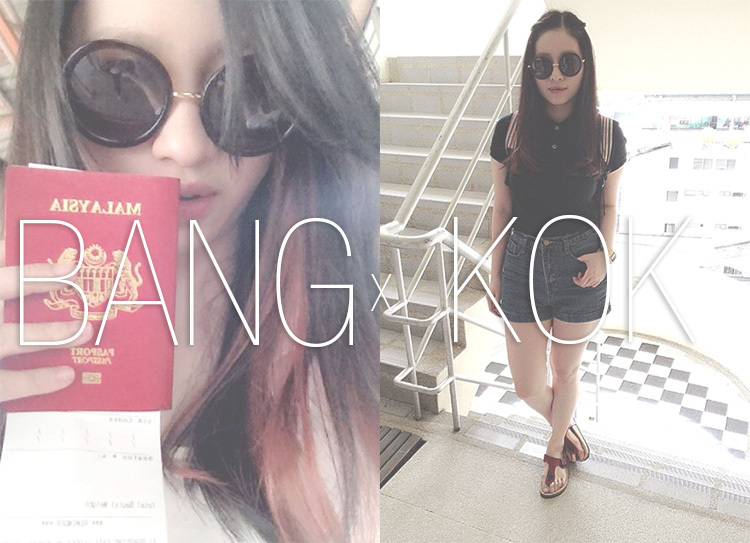 Sawadee kaa ~ Yes i'm back at Malaysia. It's fun having a short getaway. This the first time travelling around with new friend at Bangkok, Thailand. Did i make you all curious for my previous post ? Run away pulak haha. But to those that have followed me on Instagram should have know already yay. It's a new experience for a teenage adult like me to go travelling out of my own country..
What to say, i'm really tired and my brain is still in a lag condition. as soon as i collected all the photo's and then got it all edited nicely. Mean while i could keep it as memories as well. During this four days trip, i was overwhelmed with Bangkok city. feel comfortable all this time. Thank you Thailand citizen, you guys really the best. Oh not to mention, their 7-Eleven really convenient. Anyway, wait for me to update again ya. HEHE Love.